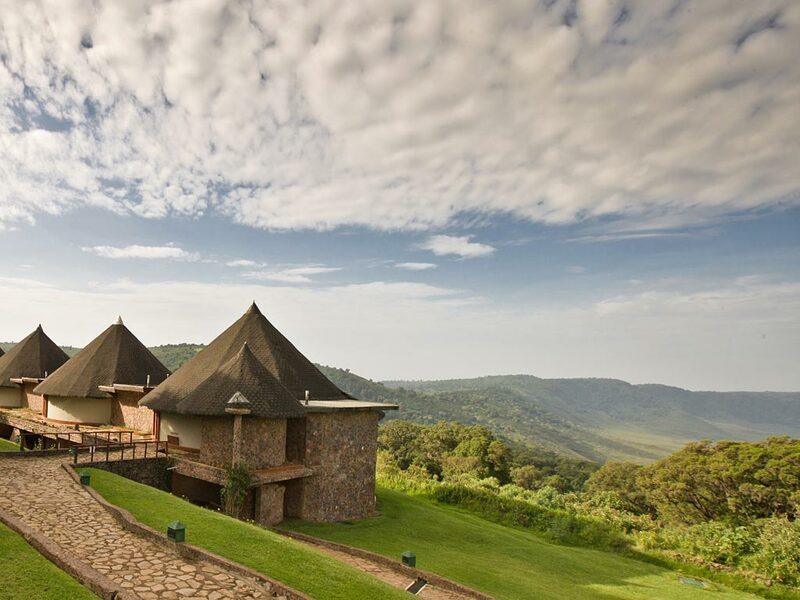 On this 5-day lodge safari you will visit the Lake Manyara National Park, the Ngorongoro Crater and the Serengeti National Park. 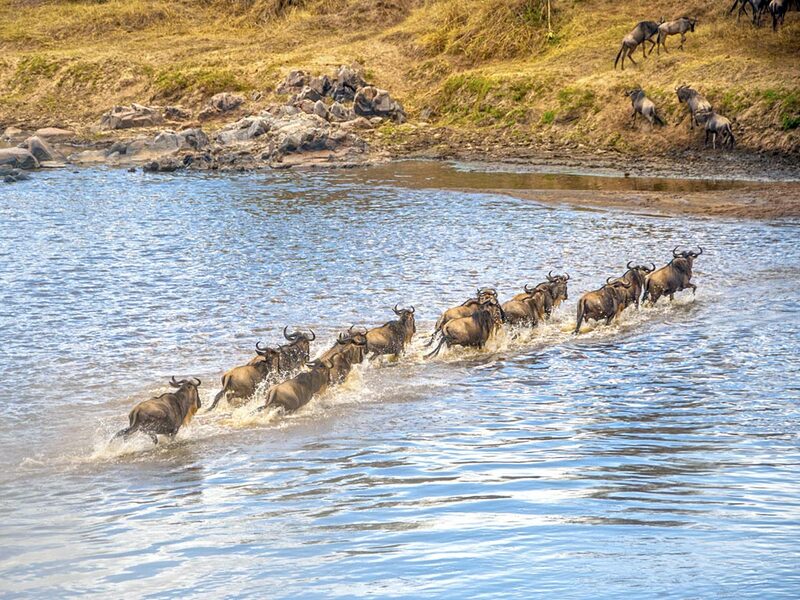 The seasonally sight of thousands of wildebeests and zebras crossing the grassland savannah is something to behold and is surely one of Africa’s natural wonders. 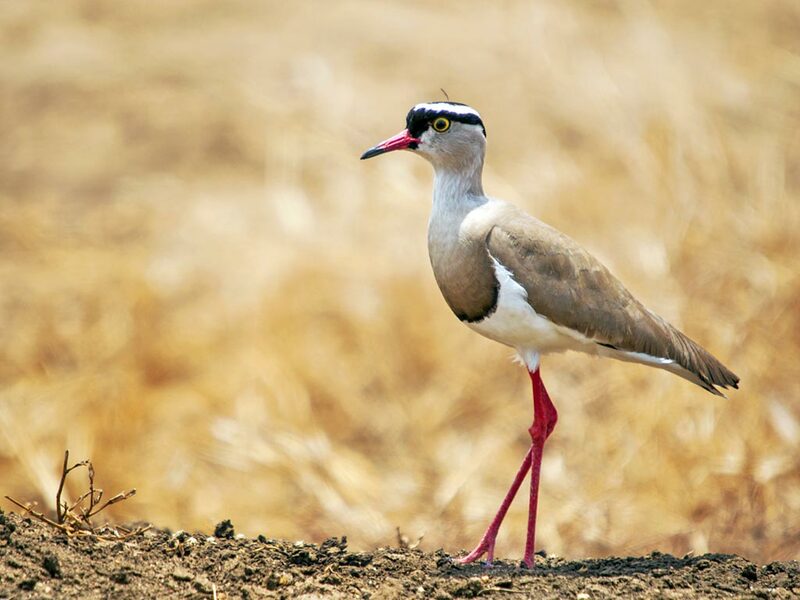 Furthermore you will be awarded with beautiful landscapes, an animal-filled crater and thousands of flamingos. 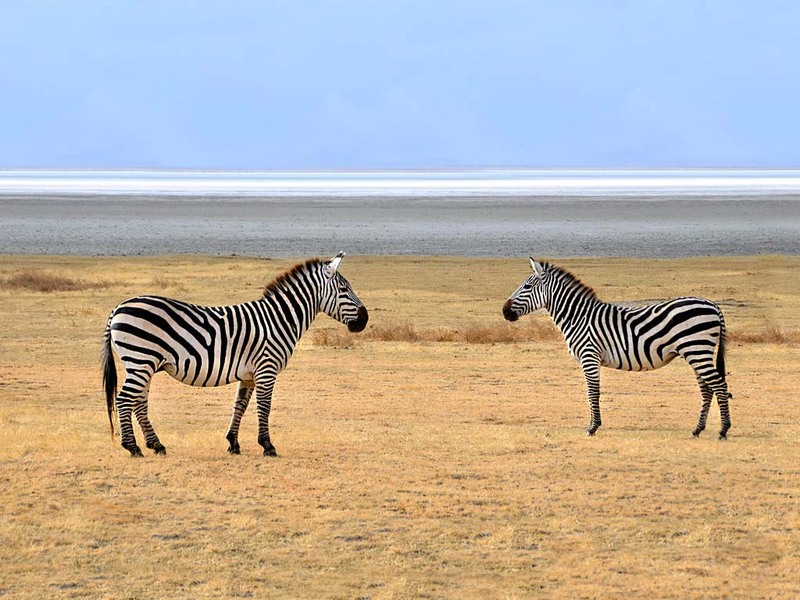 In the morning you will start your safari with a drive to the Lake Manyara National Park. 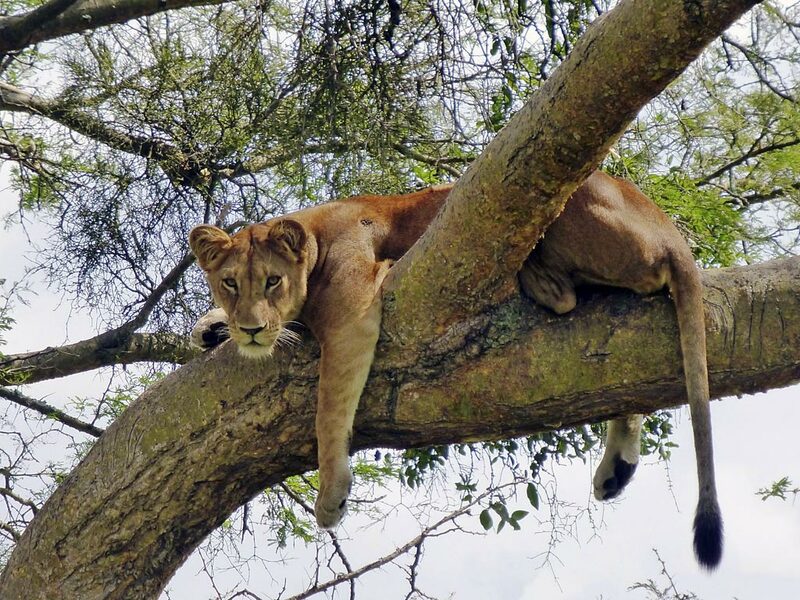 Established in 1960, the small Lake Manyara National Park is home to tree climbing lions, elephants and large troops of baboons and monkeys. 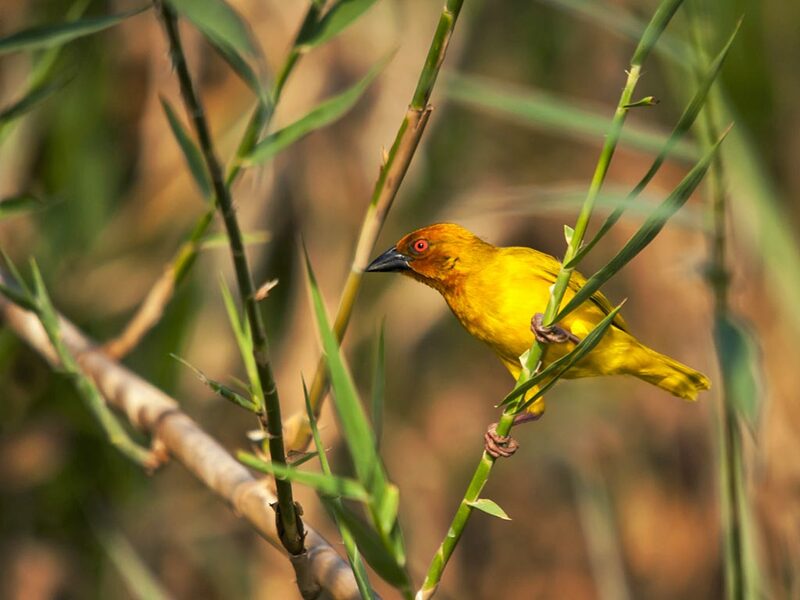 The park is dominated by the shallow, alkaline lake and boasts with diverse habitats like grassy plains, escarpment and forest. 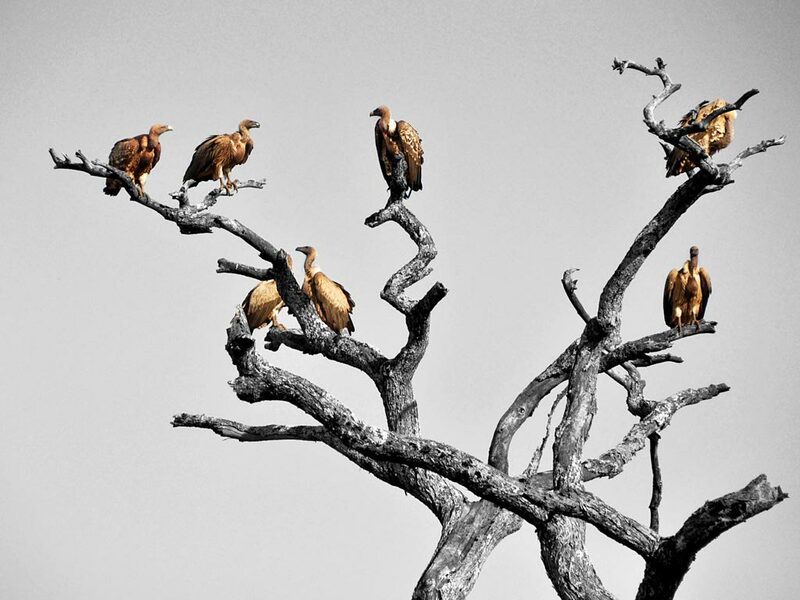 Here hundreds of bird species gather, most notable, thousands of pink flamingos. 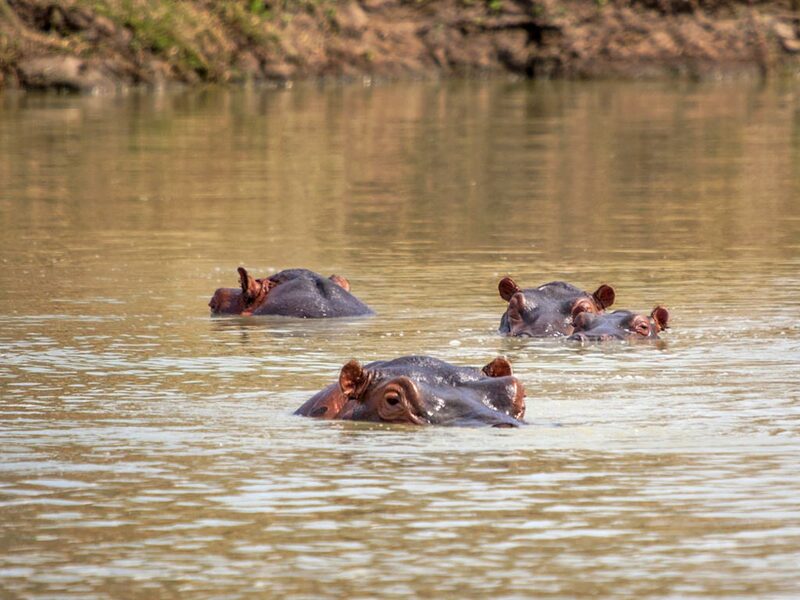 In addition to the striking scenery you have the chance to see giraffes, buffaloes, hippos, wildebeests and the comical warthog. 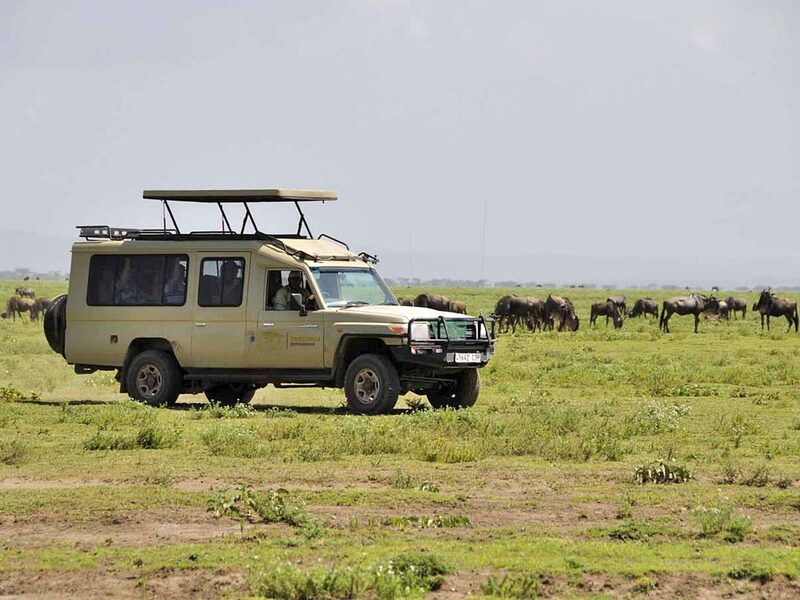 The safari vehicle has an open roof and is the ideal viewing platform to appreciate the nature and animals of this park. 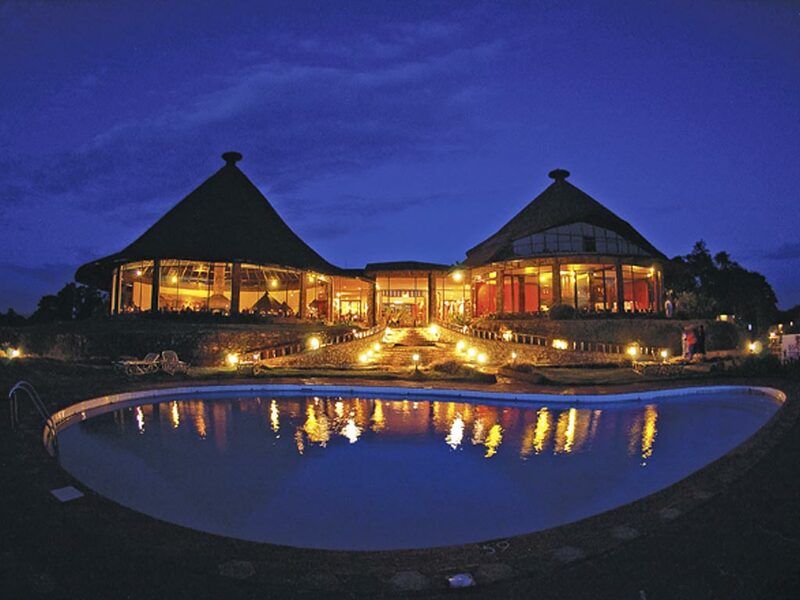 In the late afternoon you will leave the park and travel to the Kirurumu Manyara Lodge, where you will spend the night. After breakfast you will drive towards the fertile crater highlands where the Iraqw people grow wheat, corn and coffee. 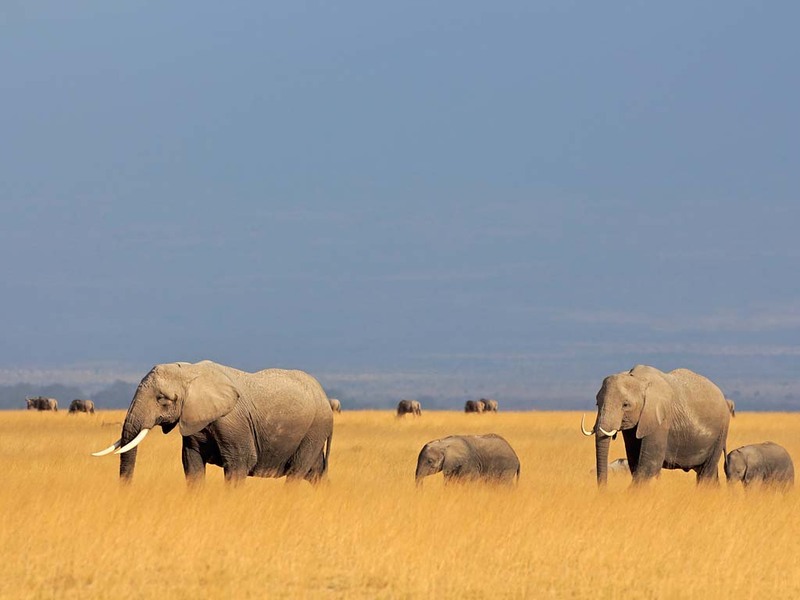 At midday you will reach the plains of the Serengeti National Park, the largest park in Tanzania. 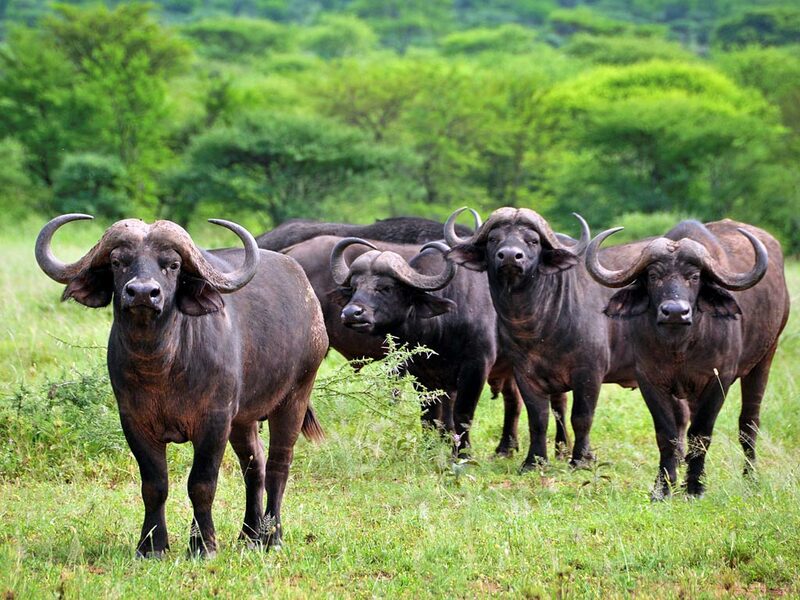 The Serengeti has a diversity of landscapes including short grass plains, savannah, thick bush, swamps and lakes and it is famous for the yearly migration when hundred thousands of wildebeest and zebras trek to find fresh grass and water. 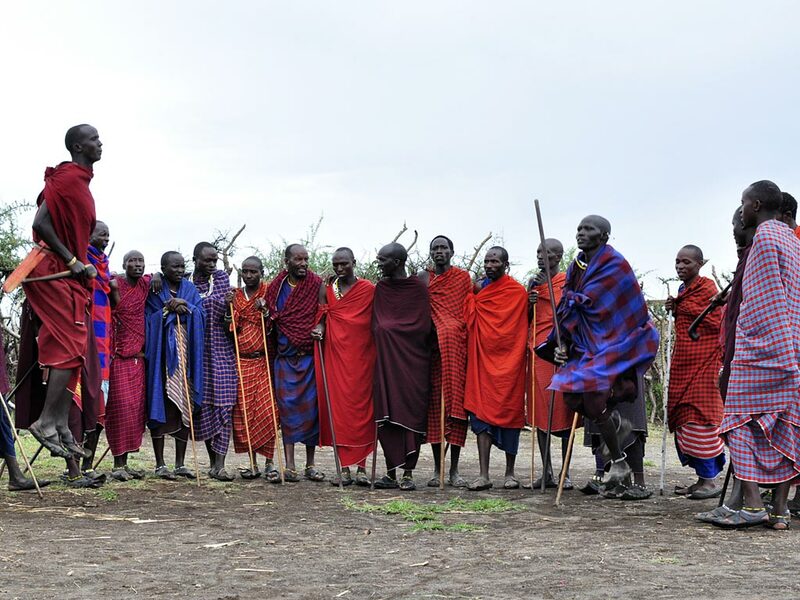 On your way to your accommodation you will understand, where the word Serengeti (plains in the language of the Maasai) comes from. 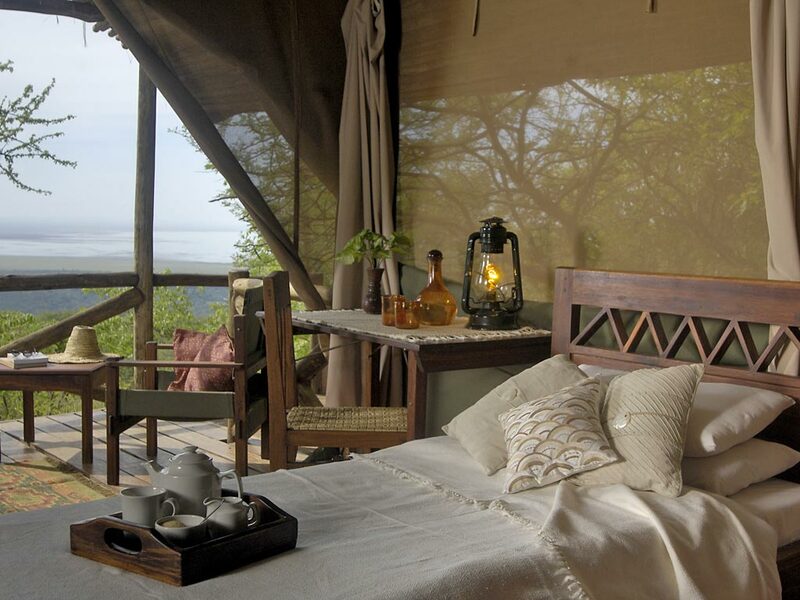 In the early evening you will reach the Kati Kati Tented Camp, where you will spend the night. 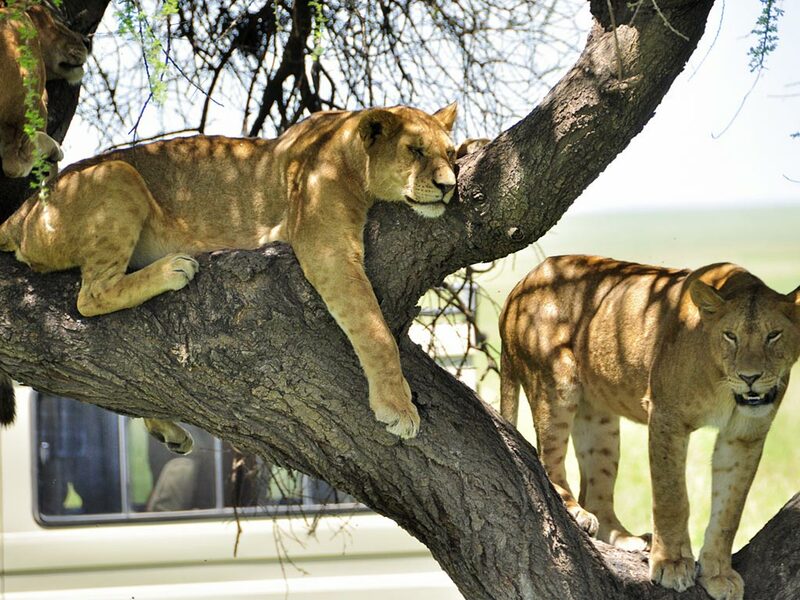 The whole day will be spent on a game drive in the Serengeti National Park. 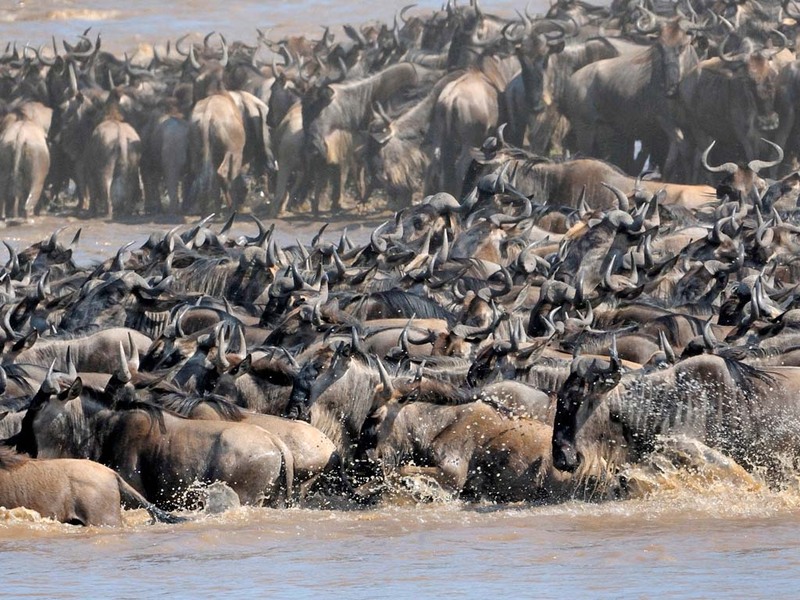 The areas you will visit depend upon the location of the herds. 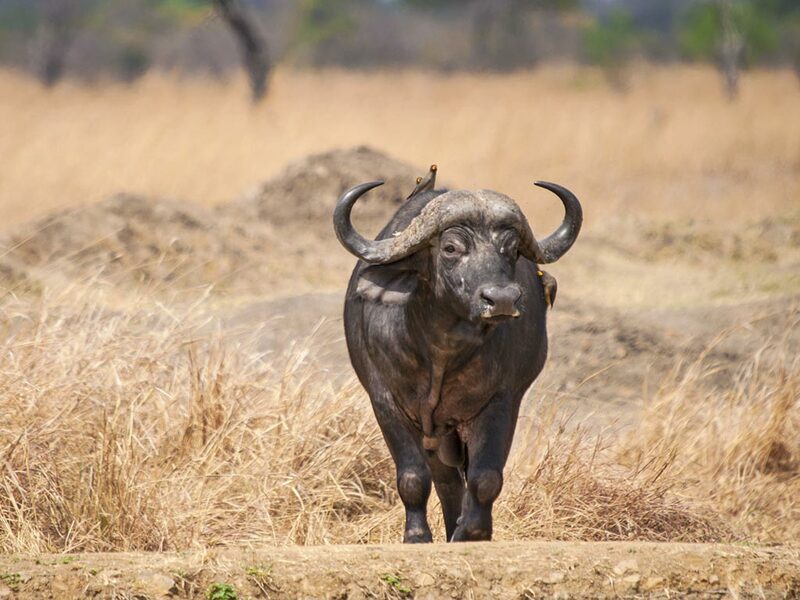 During the short rainy season in November and December the herds move from the hills in the north to the plains in the south while during the longer rainy season from April to June they return back up north. 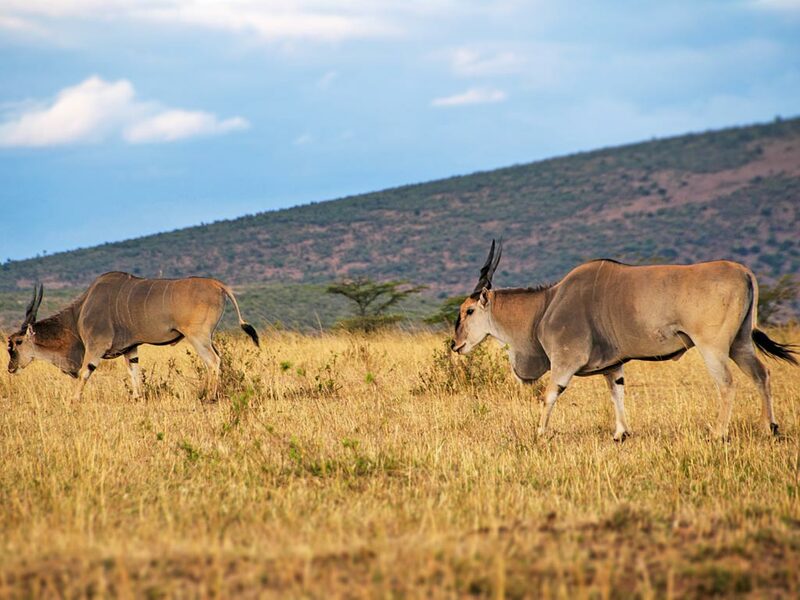 This circle of life is determined by the rainfalls and locations of the herds might vary from year to year but your guide will know where to find the animals and where to see them best. 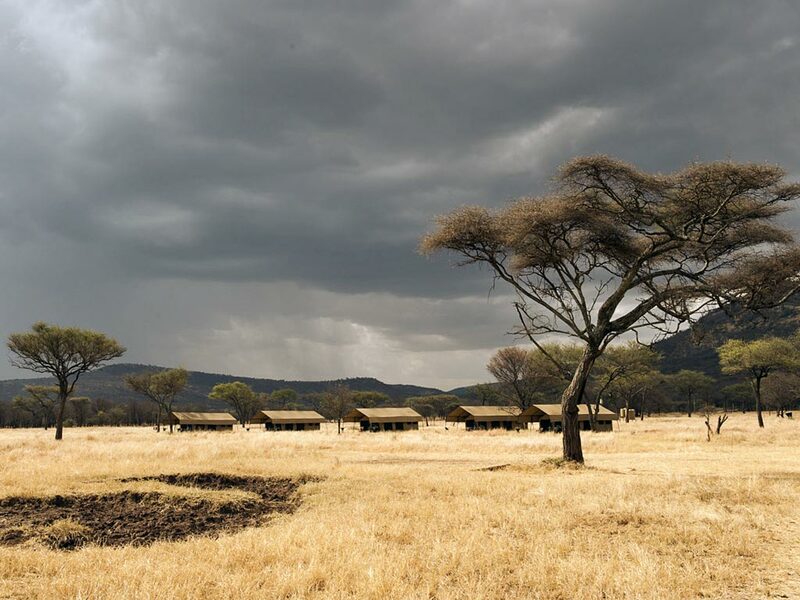 A visit to the Serengeti Visitor Centre is also possible. 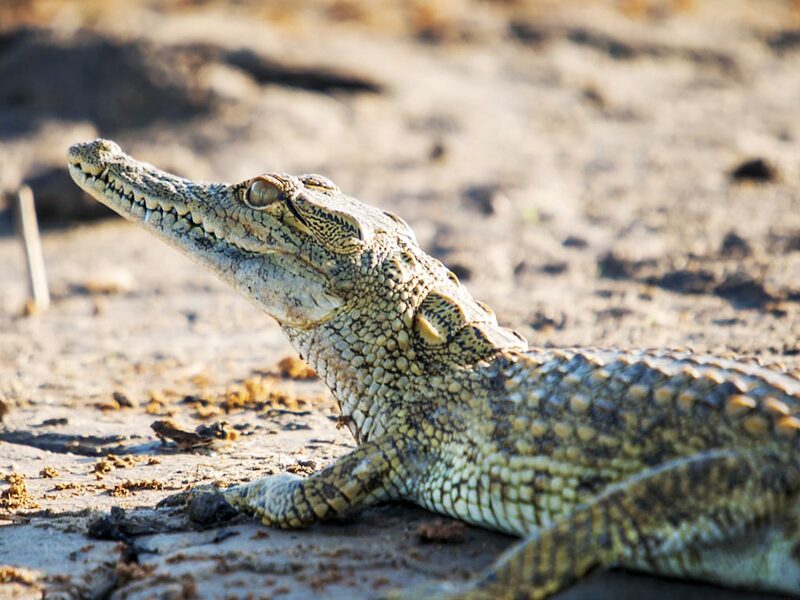 Here you can learn more about the history of the park and the research that is being done by the Frankfurter Zoological Society. 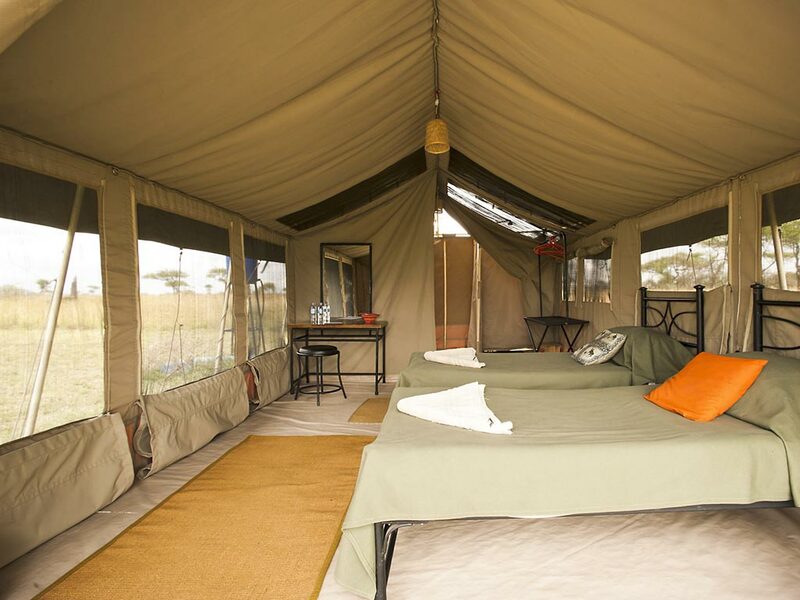 You will spend another night at the Kati Kati Tented Camp. 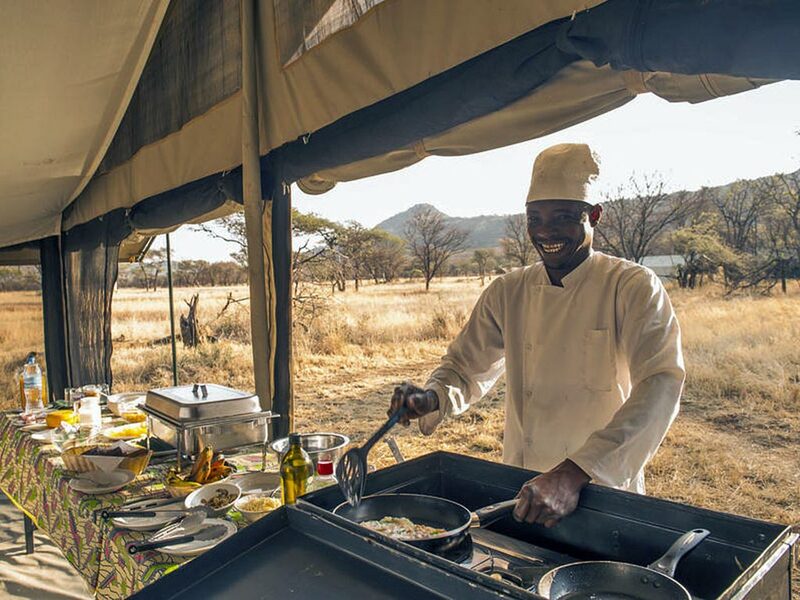 After breakfast you will continue your safari in the Serengeti National Park. 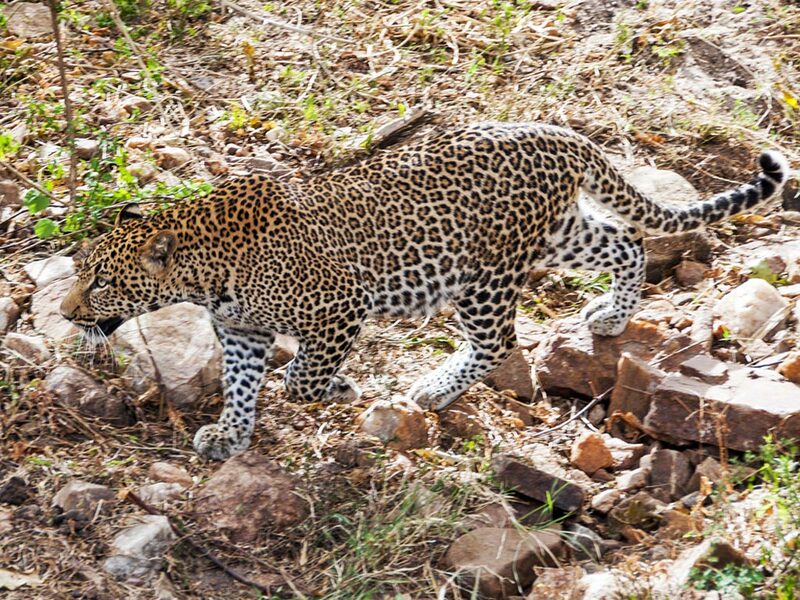 In the Seronera Valley you might be lucky to see predators hunt as animals gather at the waters during the dry season. 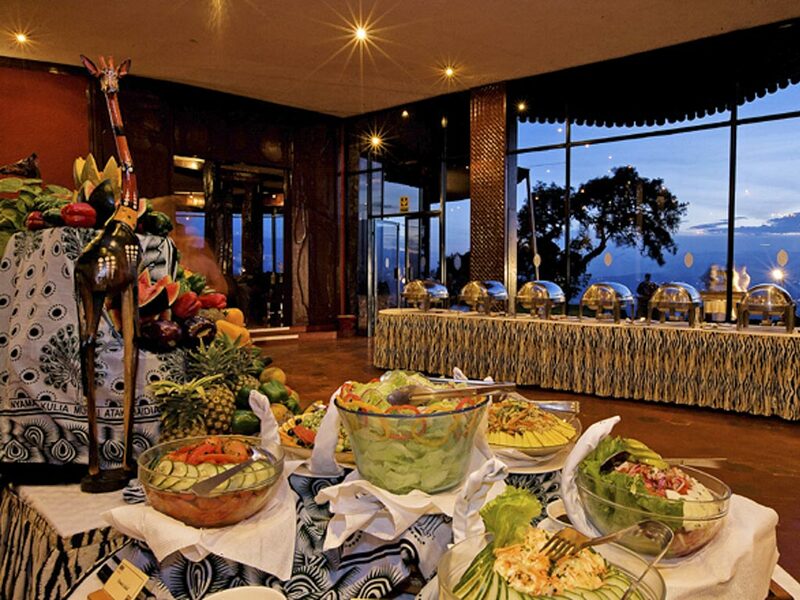 After lunch at a picnic spot you will slowly drive in the direction of the Ngorongoro Crater. 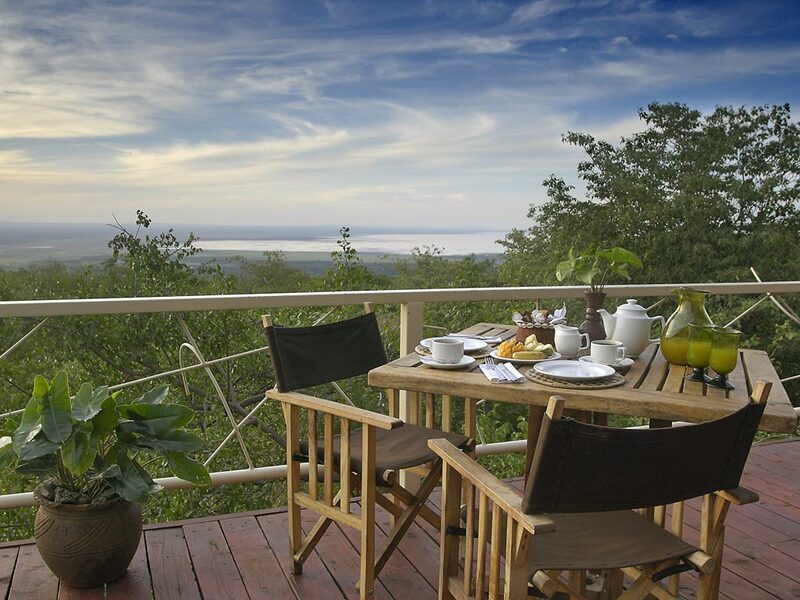 As soon as you have reached the crater you will have a superb view of the caldera. 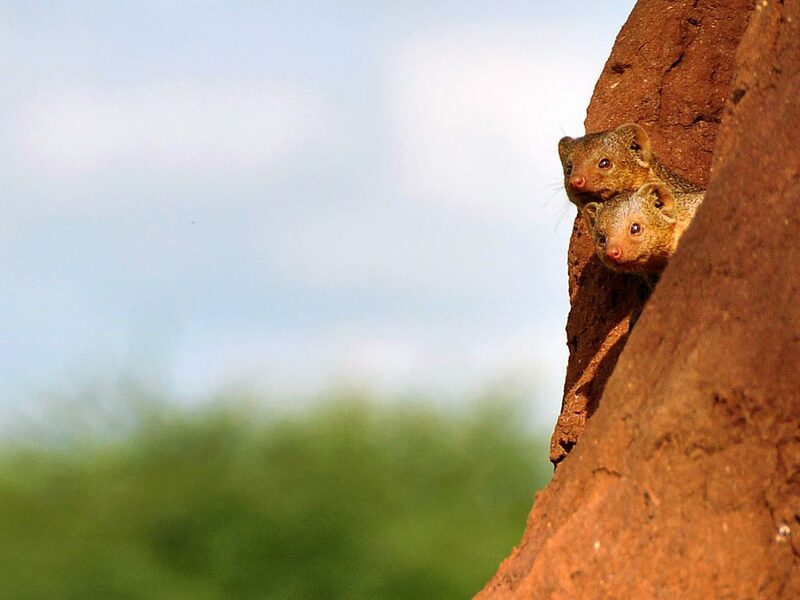 This approximate 20 km wide crater is part of an UNESCO World Heritage Site and is home to over 20,000 animals. 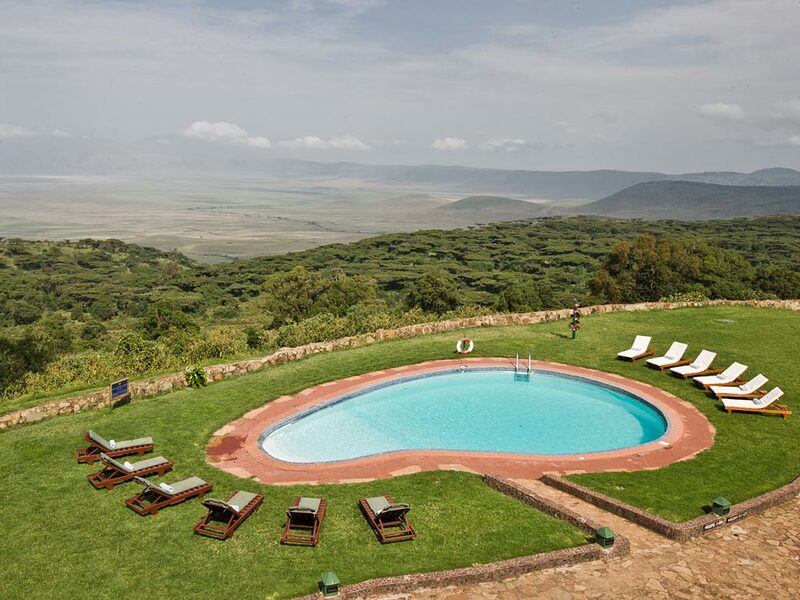 You will stay at the Ang’ata Ngorongoro Camp on the crater rim from where you will be able to enjoy an incredible sunset.